Celebrate Chicago’s 175th anniversary this year with 175 Days to Love Chicago, featuring the following events taking place over the next 10 days, June 20 – 29, 2012. From dining and shopping deals created exclusively for this celebration, to guided tours of the city and marquee special events, 175 Days to Love Chicago offers hundreds of new and unique ways for both residents and visitors to enjoy and explore Chicago. Since the city’s official birthday on March 4th, we have been featuring 175 Days to Love Chicago events daily through August 26, 2012. For a full listing of all 175 Days to Love Chicago events, visit www.explorechicago.org/175days. Wednesday, June 20: Experience the joy of Bollywood for All at the Lou Conte Dance Studio and discover why this upbeat art form is so popular among people of all ages worldwide. Thursday, June 21: Pay tribute to legendary American dancer and choreographer at the 14th Annual Katherine Dunham Tribute, a free performance by Spirit/Wing Dance Ensemble at the Harold Washington Library; a hip-hop dance class follows the performance (registration required). Friday, June 22: Join thousands of revelers in Boystown for Pride Fest, which kicks off the weekend’s events with food, music and other fun, and culminates in Sunday’s iconic Chicago Pride Parade, one of the largest of its kind in the country. Saturday, June 23: Take advantage of the longest day of the year to sail Lake Michigan with Chicago Sailing’s Summer ‘Sailstice’, with games and food on the lakefront and boats available to charter all day long. Sunday, June 24: Catch closing day of the Chicago Gospel Music Festival, one of the summer’s most popular music events with concerts taking place in venues across the city, from Millennium Park to Bronzeville. Monday, June 25: Visit the Newberry Library during the Chicago Metro History Fair Blue Ribbon Student Exhibition to see the best history fair projects by students from dozens of Chicago area schools. Tuesday, June 26: Children ages 15 and under receive a special admission rate of $1.75 to the Chicago Children’s Museum today! Wednesday, June 27: The Independent Chicago Songwriter Festival brings together some of the most diverse and creative musical voices in the region. Hear acts from around the nation at Jerry’s in Wicker Park. Thursday, June 28: Mercury Theater presents the Midwest premiere of Freud’s Last Session, the acclaimed, award-winning play about Sigmund Freud’s meeting with author C.S. Lewis in World War II England. Friday, June 29: Camp under the starry night at Lincoln Park Zoo’s Sleep Under the Skyscrapers Family Campout. Experience the animal exhibits after-hours and relax around a roaring campfire toasting s’mores. At 3:30 pm on July 1, 1910, the umpire called “Play ball!” and the Chicago White Sox kicked off their first game in the newly dedicated Comiskey Park. The South Side Crew played the St. Louis Browns in the state-of-the-art stadium that was hailed as the greatest in the world, both in size and detail, bringing team owners, ballplayers and fans from across the country to witness this historic game. Though President Taft sent his regrets, Chicago Mayor Fred Busse and City Council members were present to honor White Sox president Charles Comiskey’s monumental baseball palace. Five thousand soldiers – guests of the Sox owner – marched to and from the stadium led by a squadron of mounted Chicago Police officers, followed by vehicles from the Chicago Automobile Club. The immense proportions of the stadium left an indelible impression on many of the 30,000 spectators in attendance for the Sox’s housewarming, despite their 2-0 loss to the Browns that day. Alderman Burke is the longest serving alderman in Chicago history. He has represented the city’s 14th Ward in City Council for the past 43 years. Alderman Burke is also the author of several books on Chicago history and its heroic firefighters and police officers. 175 Days to Love Chicago celebrates Chicago’s 175th birthday with an exciting 175-day-series of programs, promotions, and fun history. Launching on the 175th anniversary of the city’s incorporation on March 4 and continuing through August 26, 2012 this cultural calendar offers visitors and residents exciting opportunities to explore Chicago everyday. From special events to special packages at local hotels, the campaign showcases the breadth and vibrancy of Chicago’s cultural landscape. 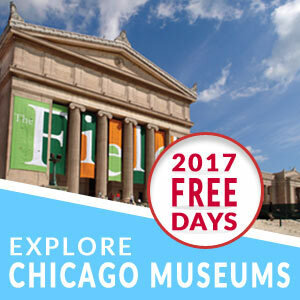 Visit www.explorechicago.org/175days to see all featured events.